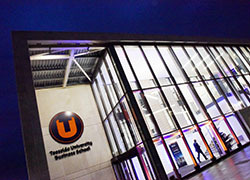 Sly Bailey, the Chief Executive of Trinity Mirror plc, is to officially open Teesside University’s Cook Building today. The Cook building was formerly owned by the Trinity Mirror newspaper The Evening Gazette. It includes a convergent newsroom, which offers professional training for students from the University’s journalism programmes and external reporters. 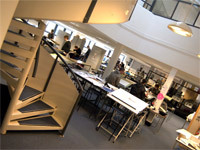 In addition, the Cook Building also houses two large customised design studios and an IT suite for computer-aided design. 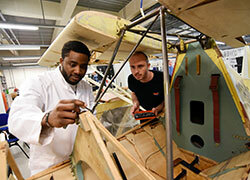 Workshops for wood, metal, plaster, resin and glass are on the lower floors. 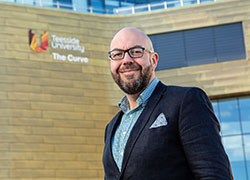 Ms Bailey will be touring the Cook Building, behind Borough Road, Middlesbrough with the University’s Vice-Chancellor, Professor Graham Henderson CBE, the Evening Gazette’s Managing Director, Bob Cuffe and Professor Gerda Roper, Dean of the University’s School of Arts & Media.